A rich history is just part of the charm at Florida’s Meadowood club. 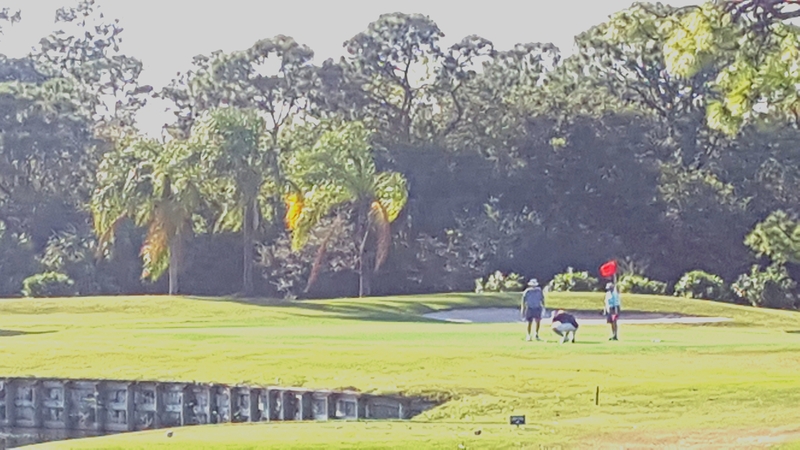 FORT PIERCE, Florida – Golf courses tend to have their ups and downs. Many of those that are opened with extraordinary hoopla don’t stay in the spotlight for long. That’s what happened at a course known as Monte Carlo Country Club when it opened on Oct. 1, 1983. Monte Carlo was one of the very first courses in what is now the Tournament Players Club Network – clubs that are licensed by the PGA Tour. Eighteen of the 30-plus that exist world-wide now are operated by PGA Tour Properties and many were awarded big tournaments quickly after opening for play. That was the case when TPC Monte Carlo hosted three events on the fledgling Senior PGA Tour – now PGA Tour Champions – in the 1980s. TPC courses — whether they’re private, resort or daily fee – are recognized as premier layouts. Florida has five of them, headed by TPC Sawgrass in Ponte Vedra, site of The Players Championship in March. Few TPC courses anywhere, however, have a history as interesting as that of what started out as TPC Monte Carlo. Now known – for the second time – as Meadowood, this club got off to a rousing start when Hall of Famer Ray Floyd smashed the opening tee shot. Two months after that TPC Monte Carlo hosted the World Mixed Championship with Sam Snead and Joanne Carner winning the title. Two years later the Senior PGA opened its 1985 season with an event called the Sunrise Senior Classic at TPC Monte Carlo. Miller Barber was its champion, beating Orville Moody in a February duel for one of his 24 victories on the 50-and-over circuit. Damage resulting from two hurricanes led to Meadowood getting a rebuilt clubhouse. Prize money remained at $225,000 with $33,750 to the winner a year later but the tournament got a name change. It was the Treasure Coast Classic when Charlie Owens took the title in the second event of the 1986 Senior PGA Tour campaign. (Barber had won the first and Owens stayed hot enough to win again three weeks later). That was the end of TPC Monte Carlo’s run as a major tournament site but hardly the end of its time in the limelight of golf. The legendary Snead moved to the area in 1988 and was the club’s resident pro emeritus until his death in 2002. The club, in fact, celebrated Snead’s 90th birthday just before Snead hit his last ceremonial first tee shot at that year’s Masters. He passed on shortly after that. Snead wasn’t the only prominent golfer hanging out at TPC Monte Carlo. 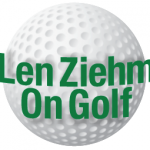 Bernhard Langer had a home near the 14th tee and was brought in to represent the club. Four Masters champions either lived or played there with one of them, Bob Goalby, also a particularly frequent visitor. Tennis great Bjorn Borg also spent time on the club’s tennis courts. A fountain doesn’t come into play, but it does spice up the look of Meadowood’s last stretch of holes. That was quite a start for a course created by Florida designer Charles Ankrom. 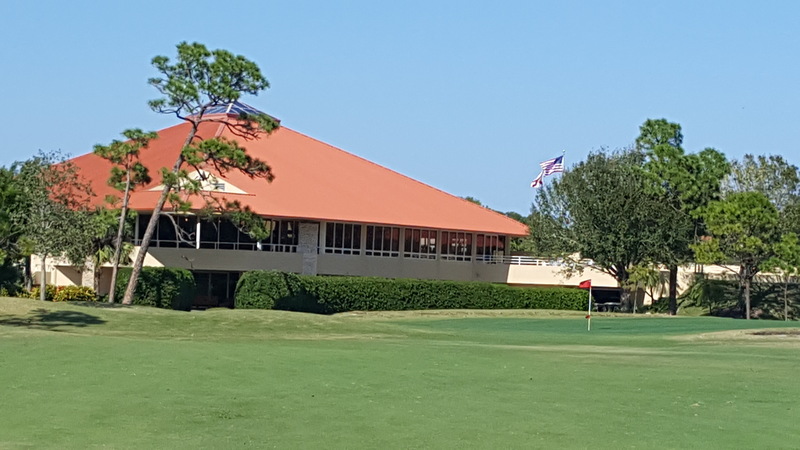 Ankrom, from nearby Palm City, was a prominent course designer in the Sunshine state with over 23 layouts on his resume in addition to courses in the Dominican Republic, Venezuela and Japan. Ankrom passed on in 2009 at the age of 72. By then his most prominent creation had been renamed three times. 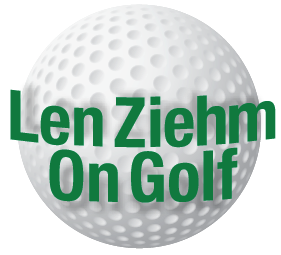 Ankrom created his course for a German group of investors out of what was a virgin pine forest and had it available for play two months before the clubhouse opened on Dec. 1, 1983. After its run as a tournament venue the Hankins Group purchased the property in August, 1988 and renamed its Meadowood. A group of members took over the facility in 1992 and leased it to a development company in 1996. The name was changed to Panther Woods at that point and existed under that title for nearly 10 years. The homes around the Meadowood course offer some eye-catching architecture. In 2004, two years after Snead’s death, the club was devastated by two hurricanes. 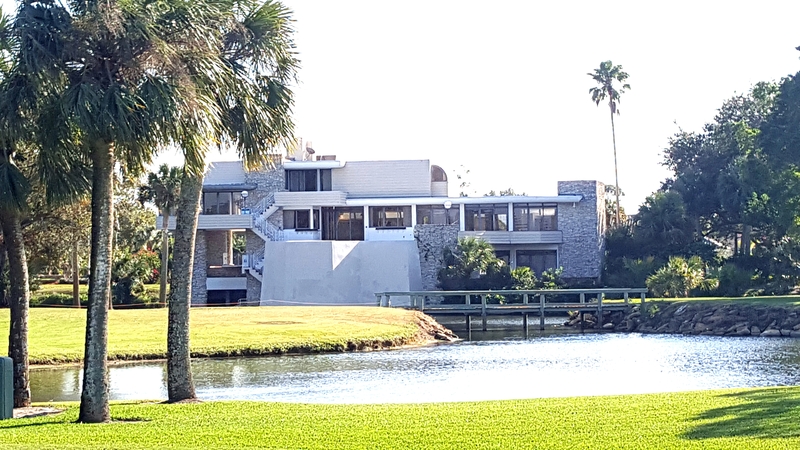 The course was closed for over two months and the clubhouse for over six months before members took over the property again in January of 2005. They benefitted from a rebuilt clubhouse following the hurricanes, ordered a major course renovation in 2006 and restored the Meadowood name in 2009. Other than acknowledging Snead’s connection, the club doesn’t dwell much on its most notable past. There’s not need to do that. Meadowood is definitely one of the best options for golfers visiting south Florida. 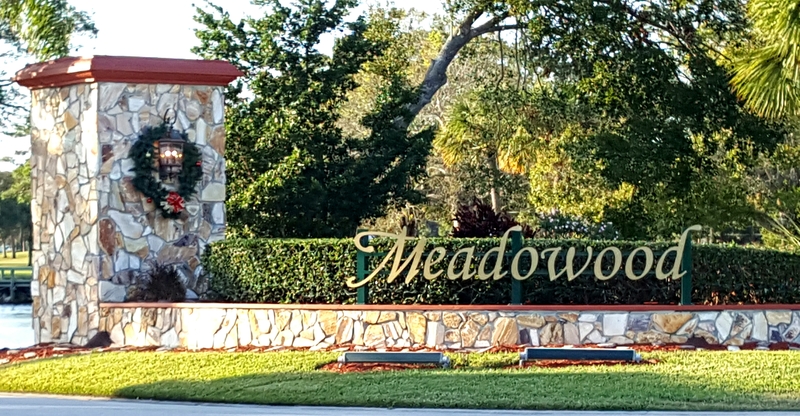 It remains comfortably distant from the busy areas of nearby Fort Pierce and Vero Beach in what is very much a private club-type gated community. The club, though, allows most affordable public play at certain times. The course, in great condition when we played it, measures 6,773 yards from the back tees with a rating of 72.8 and slope of 136. With six sets of tee markers, it is suitable for all types of players. Most notably, the course becomes more of a fun challenge as it goes along and the last four holes create a most memorable home stretch. Water comes into play in a variety of ways during a round at Meadowood.